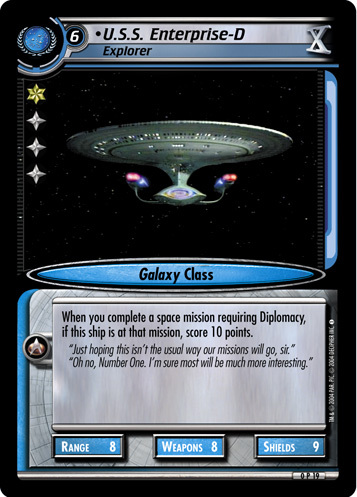 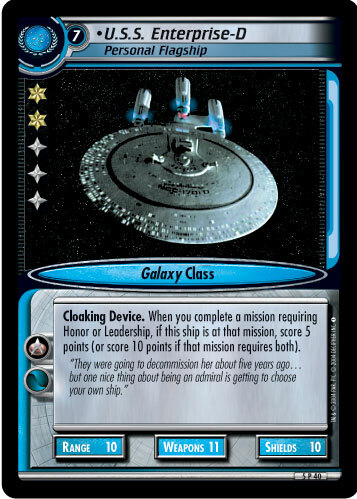 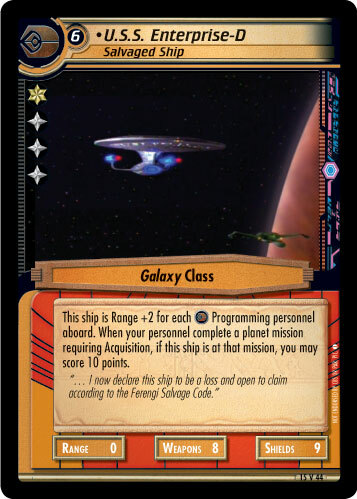 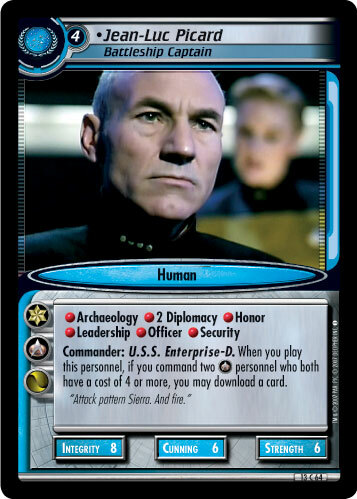 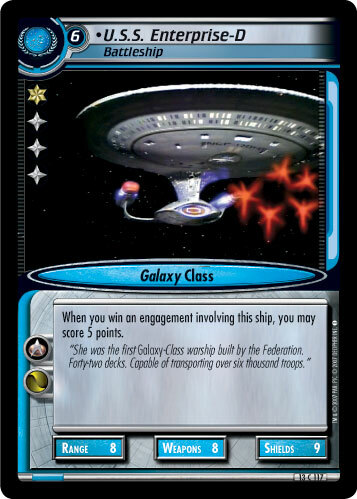 When you win an engagement involving this ship, you may score 5 points. 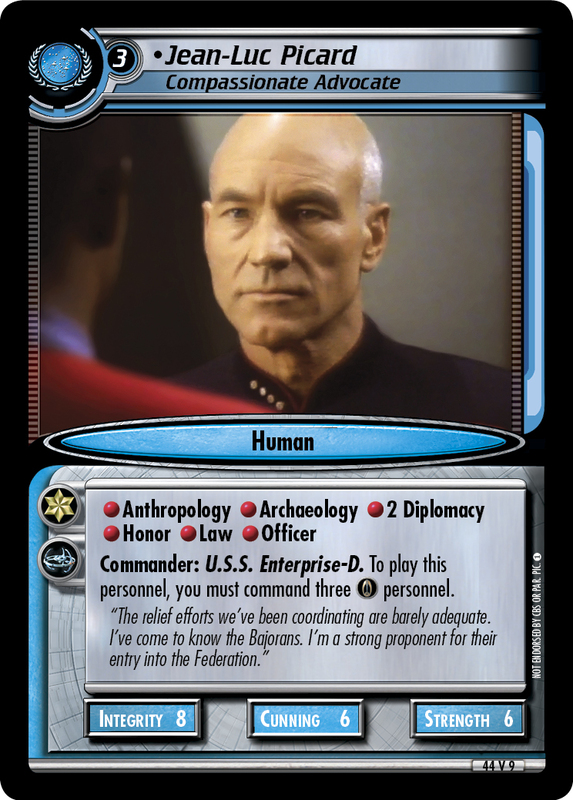 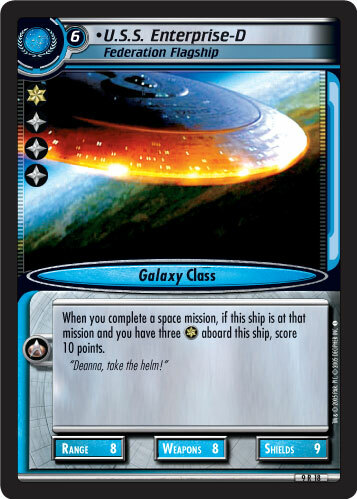 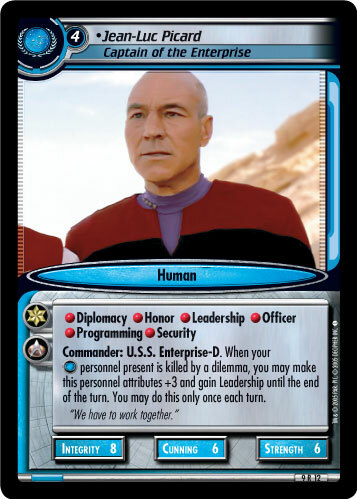 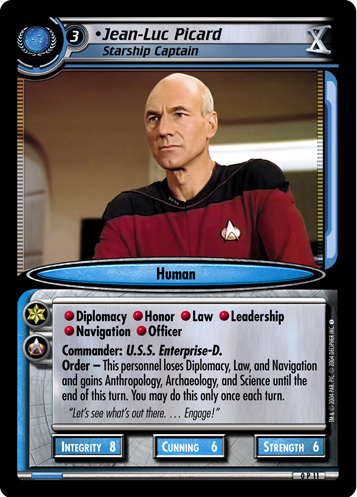 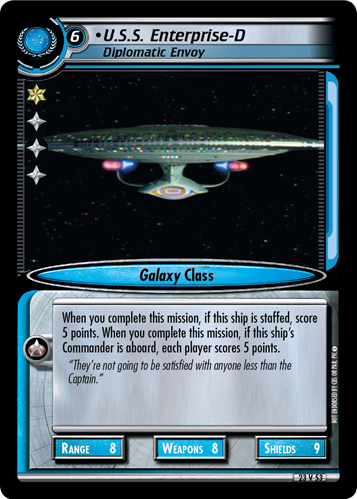 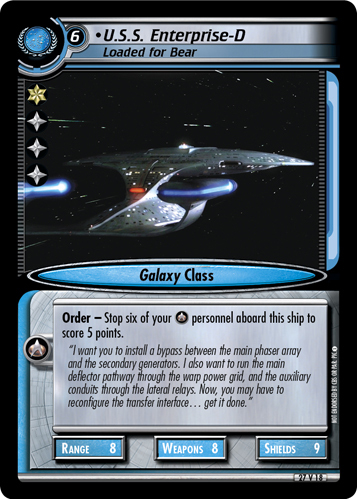 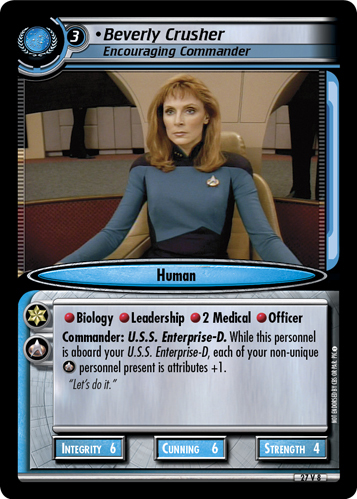 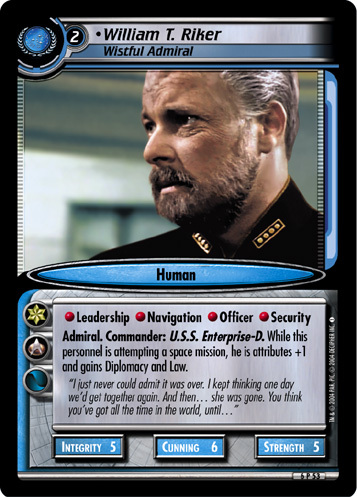 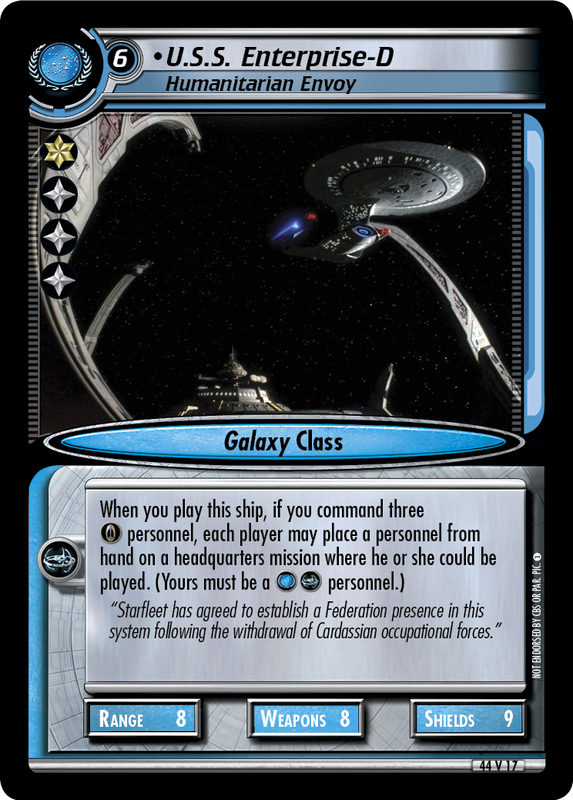 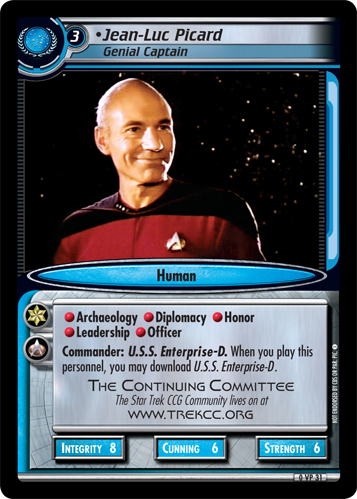 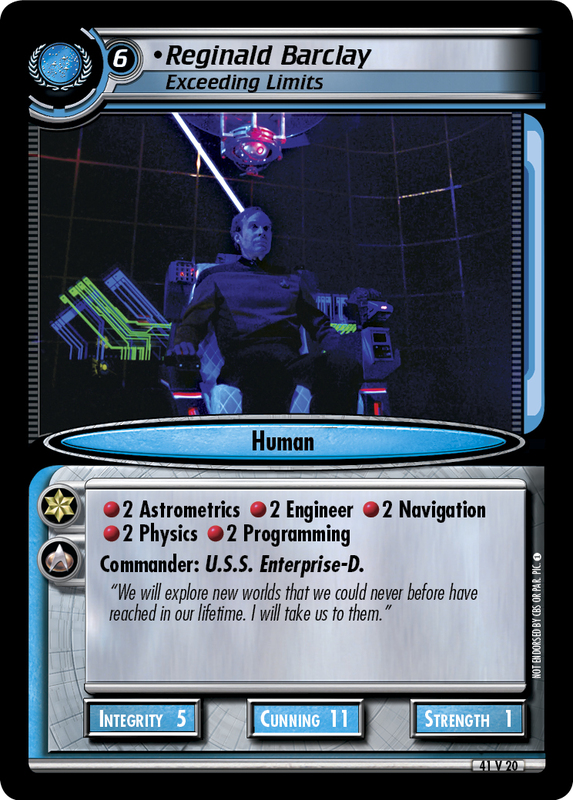 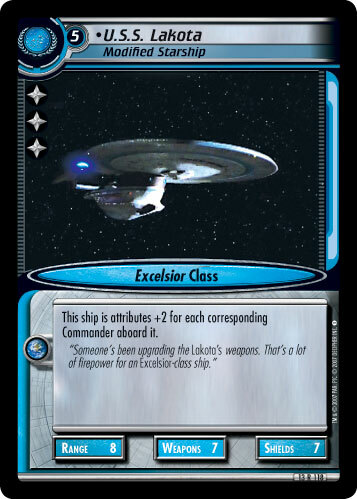 "She was the first Galaxy-Class warship built by the Federation. 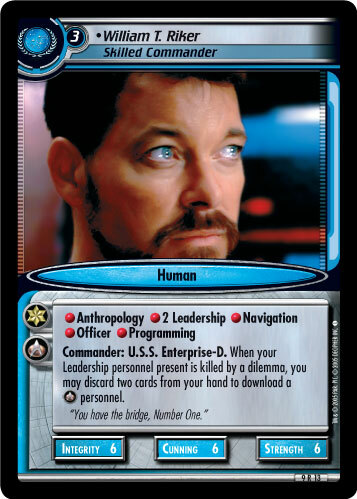 Forty-two decks. 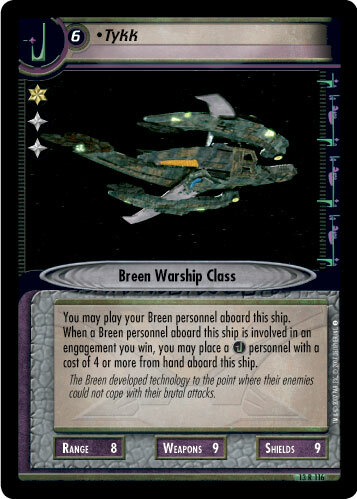 Capable of transporting over six thousand troops."